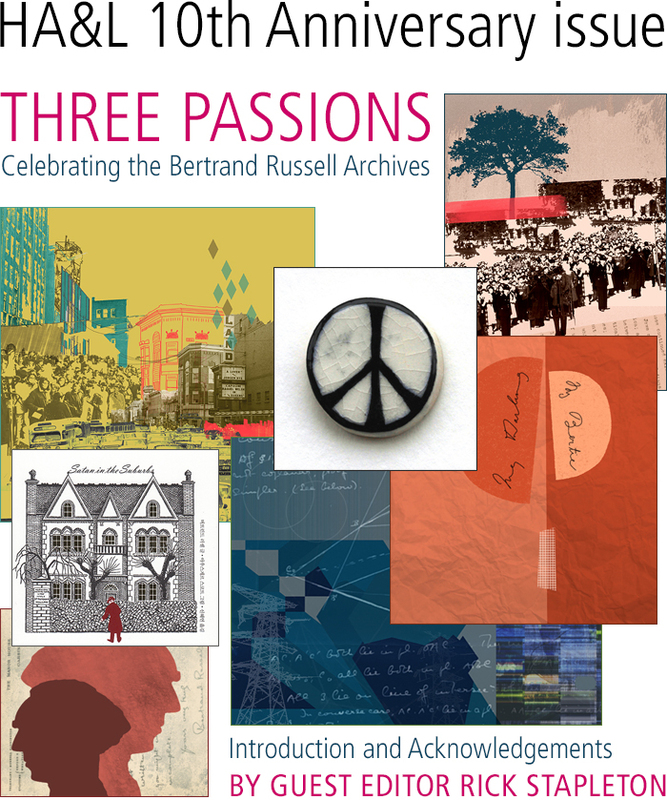 In 1968 McMaster University purchased the first instalment of the archives of Bertrand Russell (1872-1970), a vast collection of letters, manuscripts, photographs, books and other personal material of one of the 20th century’s greatest philosophers, writers, and peace activists. At the time, the 96-year-old Russell was in need of funds to support his peace work, and McMaster’s university librarian, William Ready—renowned for his ‘buccaneering’ style of acquiring collections—was able to bid successfully for the archives. Now, 50 years later, we celebrate that event with this special issue of Hamilton Arts & Letters magazine, devoted to Bertrand Russell.